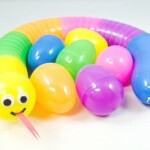 There are so many fun DIY crafts you can make using recycled materials! One of our favorite upcycled crafts is this flower wreath using leftover egg cartons. This is perfect for the spring season, especially during the Easter holiday where you may have extra cartons from coloring eggs. 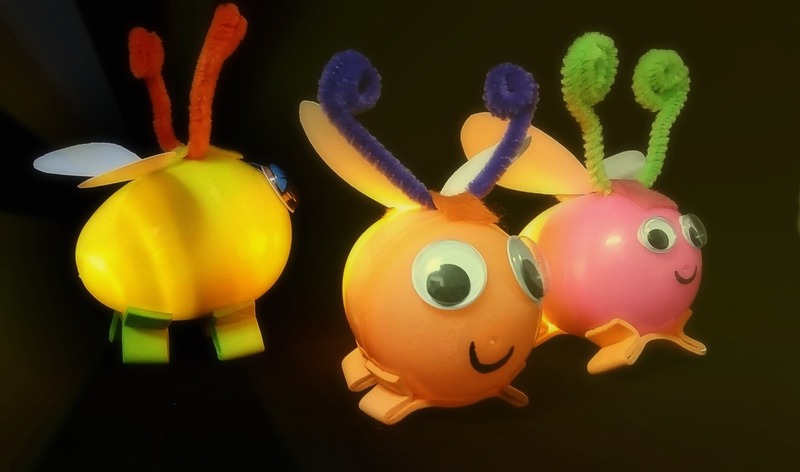 We love this activity also because your group can get creative with what materials they use. 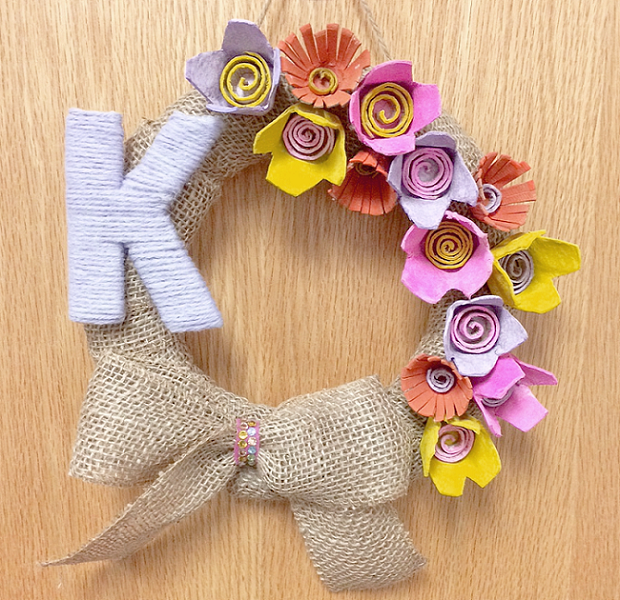 We decided to add burlap, a bow, and a personalized letter – kids can use the first letter of their name, or this wreath also makes a nice gift idea for birthdays or Mother’s Day. 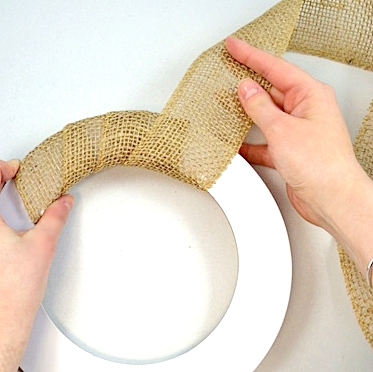 Start out by tracing two circles on cardboard or another stiff material to create the wreath. 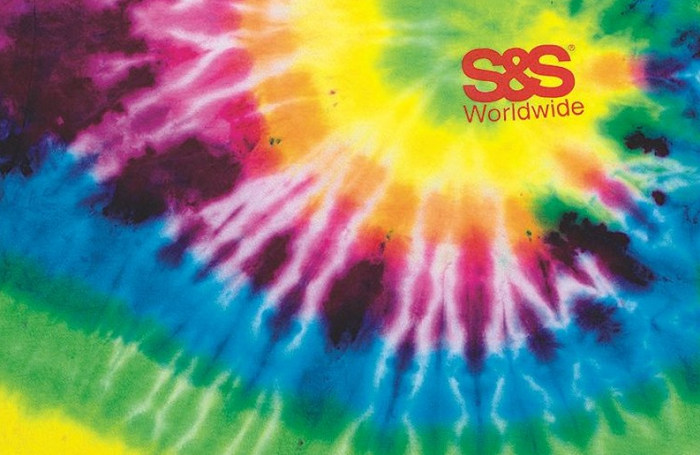 Either use scissors or a craft knife to carefully cut out the outer and inner circle. An alternative is using something similar to these animal masks and just cutting the excess off so it it perfectly round. Once this is complete, start wrapping burlap ribbon around the wreath, gluing into place as you go. You may want to wrap the burlap around twice, so you can’t see the cardboard underneath. To create your flowers, you will need a good, sharp pair of scissors. Cut out about 10-15 flowers. 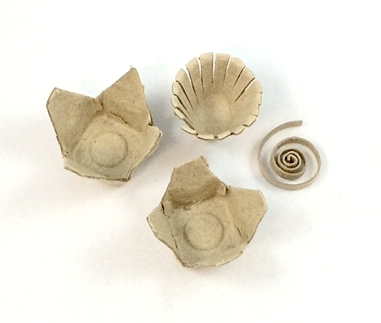 Then cut out a thin strip from the egg carton and twirl it into a spiral to place in the center of the flower. 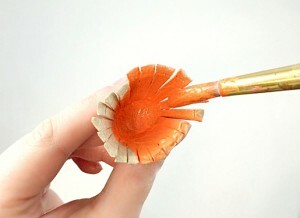 Paint your flowers with acrylic paint with any of your favorite colors and then set aside to dry. Once all of your flowers are dry, you can start to glue them onto your wreath. We chose to cover about half of the wreath with flowers, so that other embellishments could be added. You can then personalize your wreath with letters! For a quicker craft, use these wood letters and paint them any color you choose. 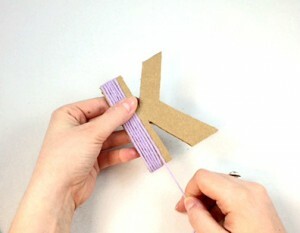 Or, if you want a DIY idea that is also an upcycle craft, we used some scrap cardboard and made the letter K – see tutorial here! Next, I made a burlap bow – see tutorial here! To give the bow a little more pizzazz and tie in the colors of the flowers, we put sticky felt and adhesive gems in the center. 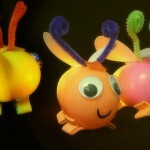 Once you’ve completed your embellishments, glue them into place. Then glue some string to the back of your wreath so you can hang it up for everyone to see! Enjoy! 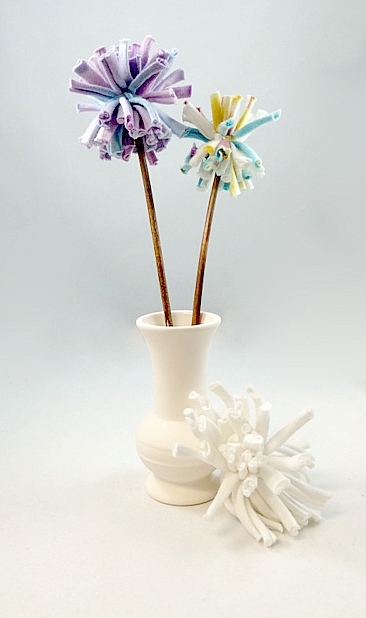 A Dandy Bouquet for Mother’s Day! 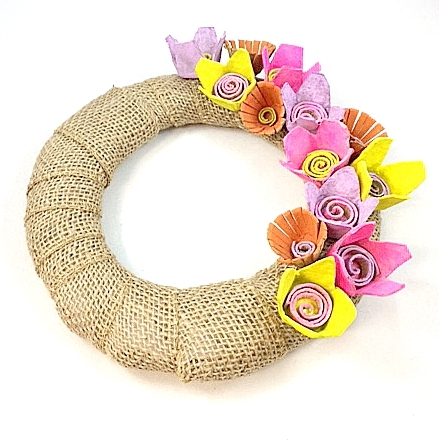 This entry was posted in Arts & Crafts, Spring Crafts, Tutorials and tagged Burlap, Burlap Wreath, crafty kate, Egg Carton Wreath, Spring Crafts, Wreaths by S&S Worldwide. Bookmark the permalink. 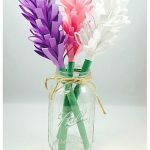 Great job, love this spring craft!